It was only three weeks later when I sat down to watch Terminator Salvation that I realised this plucky little guy was American. This is one of the first incidences I recall being so convinced by a performance that I was thoroughly in disbelief of his nationality. 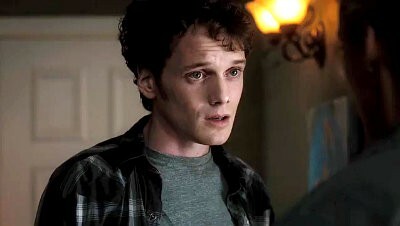 From then on, I was completely on board with any film that Anton Yelchin was in. Yelchin’s death sent waves of shock through me when the news broke on Sunday. I had just seen the guy give an outstanding, committed performance in Green Room not even a month previous. 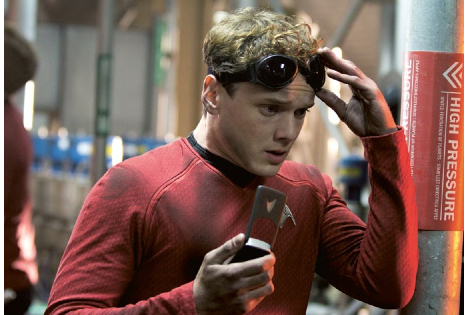 For me, it feels like I have been going through Yelchin’s journey with him since the release of Star Trek, and that he was now branching out into all kinds of terrain and his career was really starting to become interesting. All of that snatched away by a freak accident. There’s nothing that can prepare anyone for that kind of news. Green Room is a visceral, physical, intentionally gutsy survivalist horror film portraying desperate people getting into desperate situations and doing desperate things. Yelchin, in his role as a punk rocker trapped by Neo-Nazis, performs in the scenario wonderfully. He demonstrates vulnerability, as well as genuinely quirky and humorous moments when considering the absurdity of his situation. Interestingly, the same can be applied to Star Trek; his character Chekov is 17, fresh into the cockpit of an intergalactic spaceship with a ton of responsibility on his shoulders in overwhelming scenarios. Yet Yelchin, who had yet to star in a blockbuster this scale, pulls off the angst and charm needed for a young and staggeringly intelligent man to be so likable. J. J. Abrams gets a lot of things right in his films, and the one thing he nails every time is casting. Yelchin was wonderfully cast as the plucky Chekov, and the film reaped the rewards of his performance. Yelchin’s other signature achievement was the 2011 remake of Tom Holland’s Fright Night from 1985. The famous comedy-horror genre is one of the hardest for any director and cast to get right, as the true gems like Shaun of the Dead encompass moments of genuine horror, heartbreak, and emotional heft as well as delivering solid laughs. Fright Night, incredibly for a remake, hit all of these marks. There were visceral thrills in its violence, lavish production design, good-hearted characters despite treading around cliches. And at the centre of it all is Yelchin, doing everything right with his teenage insecurities, being overwhelmed at first by the situation, but all the while developing his dogged determination and coming out as a fully hardened character who you’re rooting for. With these juggernauts and a whole host of comedy dramas under his belt, Yelchin was truly beginning to blossom in his acting career. Among the many tributes pouring in for him this week, all colleagues are referring to him as a sweet, good-natured man who was fantastic to work with. This only makes his sudden passing all the more saddening; not only was he a growing popular public figure who was entertaining millions, but also a wonderful friend and colleague to so many more. It’s likely to be a painful process for the cast and crew behind Star Trek: Beyond who are heading for the premier at San Diego Comic Con and touring the world’s press for the film’s impending July release, but at least in light of Yelchin’s passing we have something to look forward to that will showcase what a talent he was. His passing joins a long list of high profile figures lost in 2016, but the outpouring of grief and tributes in the wake of it prove just how powerful cinema can be when artists such as Yelchin are behind it.